Cute Kitty Head — Simple vector illustration of a cute kitty head. The cat says, "Meow!" .:. My-Free-Vector-Art.com .:. 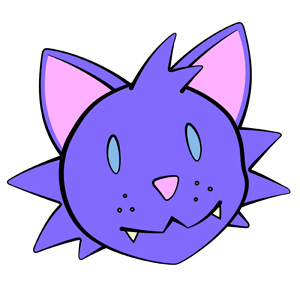 Simple vector illustration of a cute kitty head. The cat says, "Meow!"